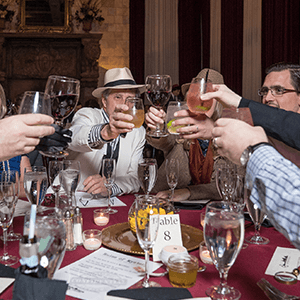 The Murder Mystery Co. in Newark is “dying” to entertain at your next party of 8 or 800! 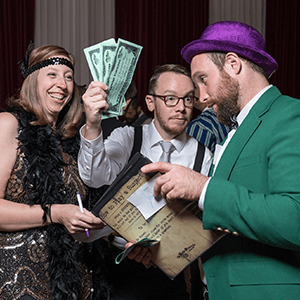 Our mystery experts set the scene for two hours of interactive murder mystery goodness that your guests will be raving about for years! 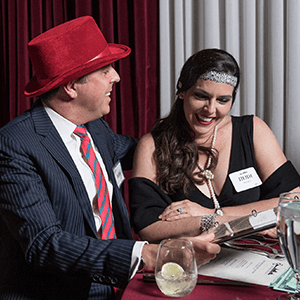 Live-action murder mystery parties are Newark's most unique and engaging way to entertain for privately hosted events. 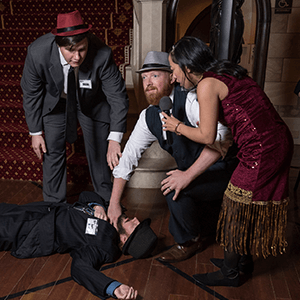 The Murder Mystery Company is Newark’s Expert in Mystery Entertainment. 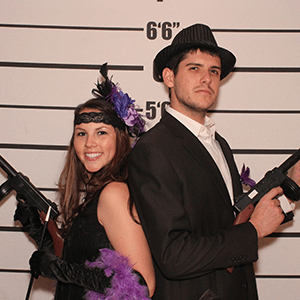 You can embrace your darker side now that murder, mystery, and intrigue have set up camp in Newark, and we have the perfect crime for your next private party! Whether you have a corporate gig or something more casual, our interactive mystery shows are unique, one-of-a-kind entertainment for your event! Make your next special occasion unforgettable with a game of murder right at your party. The Murder Mystery Company loves being able to call Newark home. 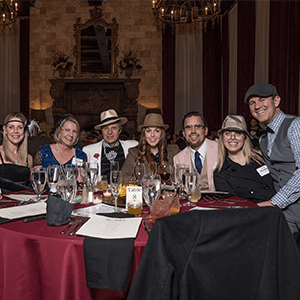 They have enthusiastically embraced their purpose: to provide “killer” murder mystery entertainment to the people of Newark and the surrounding areas, adding to the 300,000 guests who have already figured out whodunit with us! In 18 different states with over 45 public show venues, The Murder Mystery Company isn’t just taking Newark by storm, but the whole country! Under the capable leadership of Director JessAnn Smith, The Murder Mystery Company in Newark continues to thrive! They have done shows for some awesome people and parties! Trained under our tried and true GRIMprov method, this troupe is 100% sure your show will be a success - each show is anchored by veteran Murder Mystery Company actors who have performed in hundreds of shows.